Custom input field to select image files to show instantly on the page for get excellent user experience. 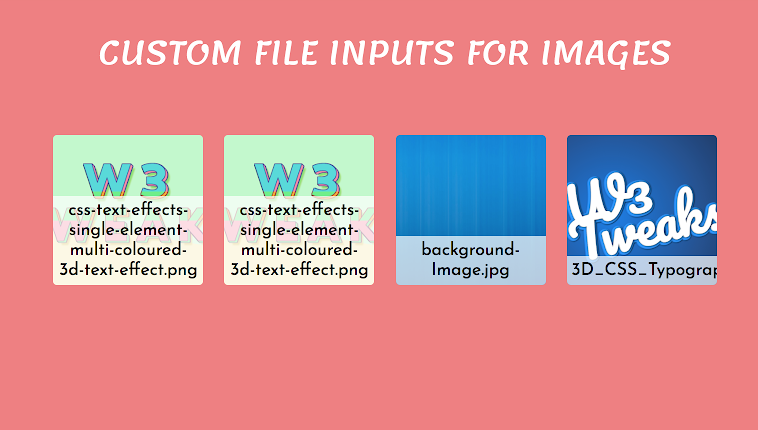 Custom file inputs with image preview and image file name on selection. Find the demo below. See the Pen Custom File Inputs by Paolo Duzioni (@Paolo-Duzioni) on CodePen.